A phased-array antenna is made up of multiple individual radiating elements (antennas), each fed with an RF signal controlled through phase shifters in such a way that the radio waves from the separate antennas are added together to increase the radiation. This forms a beam pointing in a desired direction, while at the same time suppressing radiation in undesired directions. The benefits of phased-array systems over omni-directional antennas include higher directivity, fast electronic steering (beams that can be re-directed in milliseconds), and the ability to emit multiple beams simultaneously for multifunctional operations. Radar attributes for phased arrays include shaped antenna patterns and beam control (including adaptive interference cancellation), dynamic range, in-band linearity, system-phase noise, and angle measurement accuracy. Altogether, the advantages inherent in phased-array systems will enable major new commercial applications, including 5G communications and automotive radar, enabling them to exploit the millimeter-wave (mmWave) spectrum. Like their aerospace and defense-related counterparts, these phased-array systems will need to offer high performance and reliability while operating in hostile outdoor environments. Unlike the arrays developed for aerospace and defense applications, they will need to be designed for cost-effective, high-volume deployment. This article explores design considerations behind next-generation antenna systems as well as capabilities added to NI AWR software that support a design flow for developing these products. Radar or communication system designers see the array antenna as a component with measurable input and output, and a set of specifications. Array designers see the details of the array, and the physical and electrical limitations imposed by the radar or communications system. Within those constraints, array designers must optimize this complex component. 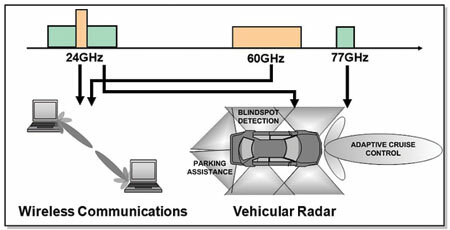 For either scenario, Visual System Simulator™ (VSS) system design software, part of the NI AWR Design Environment platform, provides the capability to perform RF link budget analysis to determine the high-level antenna specifications that will fulfill the communication or radar system requirements for the system designer, as well as the framework for the antenna component designer to develop the underlying antenna technology. Figure 1 • The mmWave spectrum will be utilized for commercial communication and radar applications, ushering in widespread use of phased-array/multiple-in-multiple-out (MIMO) antenna technology. Additionally, an enhanced phased-array generator wizard that complements VSS enables designers to interactively develop phased-array antenna systems and generate array and feed network schematics or system diagrams suitable for further circuit/system/EM analysis. Users can easily define the array geometry (configuration), feed structures, gain tapers, and characteristics of individual elements and their respective RF links. This wizard works interactively with NI AWR software, inclusive of Microwave Office, VSS, AXIEM, and Analyst™ software, as well as AntSyn™ antenna design, synthesis, and optimization software, to guide phased-array/feed network component/system development from concept to product. This new, cohesive design flow supports the specification and development of phased-array antenna systems that encompass specification, synthesis, electromagnetic (EM) analysis, and radiation patterns, as well as optimization and verification. 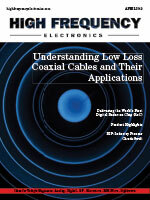 Array/antenna requirements can be specified using VSS system-level link analysis. From these requirements, the antenna designer can synthesize the physical antenna using AntSyn software to generate physical designs from a set of antenna requirements. The AntSyn tool offers a proprietary genetic-algorithm based optimizer and fast EM solver to realize an actual physical computer-aided design (CAD) ready for further EM analysis and development. Designs generated in AntSyn software can be exported into multiple formats supported by leading commercial 2D and 3D EM simulation tools. EM analysis provides the radiation pattern that is used by the phased-array generation wizard to analyze the array performance. It is also used to verify the performance of the entire array using physical information about the array configuration specified in the phased-array generator wizard and the antenna’s physical information provided by AntSyn software. From the EM analysis, radiation patterns can readily be generated and linked to an array element. When using AXIEM or Analyst simulators to perform the EM analysis of the individual radiating element generated with AntSyn software, the physical structure is simply imported into the EM layout editor and analyzed. AXIEM and Analyst simulators also support generating the radiation pattern data file in the format used by the phased-array generator wizard. With the individual element radiation pattern specified, the user is able to specify the array size, shape, element spacing, element grouping, and feed network details. The user can create a system- or circuit-based hierarchical schematic using the automation built into the VSS phased-array generator wizard to generate the phased-array data file, the system diagram (test bed), and the circuit schematic and EM structure (array), discussed in more detail later in this article. The array performance can be validated using EM to analyze the array with feed at the system level and circuit-level details can be incorporated for greater accuracy using Microwave Office, AXIEM, and Analyst software, as well as supported third-party EM software. The VSS phased-array generator wizard enables designers to specify key electrical/physical attributes of the array (Figure 2), including number of elements, distance between elements, coupling between elements (along with edge and corner behavior), frequency, geometry of the array, and radiation pattern for each element or group of elements. Figure 2 • The VSS phased-array generator wizard uses designer input to generate the antenna array, amplitude/phase shift elements, and combiner/divider system-level network. One goal of the phased-array generator wizard is to provide designers with a powerful yet intuitive interface to define a physical-array configuration, assign antenna and RF link characteristics to individual and/or groups of elements, define feed networks and gain taper properties, and simulate the response, inclusive of potential element failure. This enables users to produce a far-field plot that can be swept for frequency, input power, and phi and theta angles using slide tuners to control these parameter values. The resulting antenna pattern view provides designers with a real-time visual aid depicting the impact of design decisions on far-field performance. The RF link characteristics of the array elements can be defined via RF link configurations and can include parameter settings such as gain, noise figure, 1dB compression, IP2 and IP3, and input/output port characteristic impedance or mismatch. 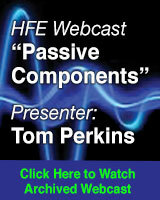 Designers can create multiple RF link characteristics to populate the configurations listing, which can then be assigned to individual or groups of elements. With the exception of the default group, all elements in a group will share the same RF link configuration. In the default group, individual elements may be assigned to individual RF link configurations. By default, all groups are assigned the default RF link configuration. RF link characteristics may either be specified as a text data file to be used by the nonlinear behavioral model block or via amplifier characteristics such as gain and P1dB, similar to those of the behavioral amplifier. The wizard also allows users to define both standard and custom gain tapers. An array layout view will show the gain taper as color coded. Similar to assigning antenna and RF link characteristics, individual elements may be selected to specify the gain and phase values, or element groups can be used to assign the same element properties to all the elements of the group. Individual or multiple elements, one or more element groups, or any combination of these can be selected directly from the array layout view or from a table of elements/element groups. The phased-array generator wizard also enables users to study the impact of an element failure or impairment by selecting individual elements or element groups for failure or specifying a random failure rate. Failed elements are treated as not passing the signal through to the radiating element. Choosing random failure rate will result in different elements failing for each simulation sweep and will generate a new set of failed custom elements based upon the user-specified random failure rate. Developing actual phased-array hardware requires the design and simulation focus to shift toward circuit-level analysis and physically realizable components. The entire available design flow, from antenna synthesis, generation of antenna radiation patterns through EM analysis, configuration of the array and feed network, and generation of circuit or system-based schematic design is shown in Figure 3. Figure 3 • Screen captures of various steps in the phased-array design flow, from individual antenna element synthesis (upper left), radiation pattern simulation (lower left), radiation pattern assignment and far-field view (lower bottom), array configuration (upper middle), and generation of the array as an EM structure from individual elements. 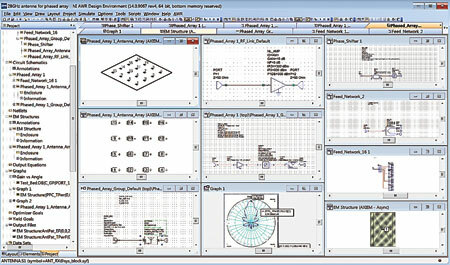 The NI AWR Design Environment platform addresses additional design detail and in-depth analysis to support further hardware development, including full EM simulation of the entire array along with co-simulation of the feed structure represented by circuit- and system-level behavioral blocks constructed from information defined by the user in the phased-array generator wizard. The wizard supports the generation of simulation-ready circuit, system, and data file-based designs configured into hierarchical schematics for analysis by Microwave Office circuit design software or VSS system design software, and the assigned EM simulator. Capabilities associated with the generation of these three formats are described below. 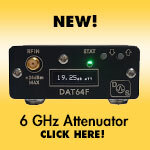 The full array design with an input and output port that can be used as a device-under-test (DUT) sub-circuit. In addition, a text data file is created containing the coordinates and gain and phase tapers of each element. The feed network for phased-array configurations or the multiplexer/demultiplexer for MIMO configurations. For phased-array configurations, the feed network may either be composed as single or multiple cascaded splitter sub-circuits. A sub-circuit for each element group with an instance included in the DUT sub-circuit for each element. A sub-circuit for each RF link and antenna configuration, each element group includes an instance of the applicable RF link and antenna configuration. A sub-circuit for the phase shifter that is also responsible for applying the gain and phase taper for each element. This sub-circuit computes the appropriate phase shift for a given pair of steering angles for the element at its particular coordinates. Impedance mismatch modeling is enabled for the project. A system diagram containing the DUT sub-circuit, along with an optional sweep variable block for sweeping the incident theta angle and the incident phi angle. A graph with a cascaded gain measurement configured to display the swept gain. In the second option, the schematic layout option will generate a set of circuit schematics and an EM structure to model the phased-array design, including the RF link, phase shifters, and feed network, which are represented by the schematics, while the antenna characteristics are represented by an EM structure. This option does not support the MIMO configurations or the antenna configurations, which are ignored since the antenna properties are defined by the EM structure. The schematics that are generated include the master schematic representing the full array design, the feed network, a sub-circuit representing each element group, a sub-circuit representing each RF link and antenna configuration for each element group, and the element phase shifter responsible for applying the gain and phase taper for each element. The EM structure representing the array of antennas can be generated by either selecting an EM structure representing an individual antenna and then having it duplicated at the appropriate element locations, or by specifying settings for a simple rectangular patch antenna that is then duplicated at the appropriate element locations. By creating an EM structure representing an individual antenna element and allowing the generator to copy that structure into an array, the user can set the various EM structure settings as needed for the antenna design. Note that the EM structure must be in the project for it to be used in the generation of a schematic layout. The third option generates a text data file that can be used by the phased-array assembly, data-file-based block. If the array design is a phased-array rather than a MIMO configuration, the option for generating a test bed is offered. The test bed consists of a system diagram containing a block with the data file set to the generated text data file, along with an optional block for sweeping the incident theta angle and the incident phi angle and ab automatically generated graph with a cascaded gain measurement configured to display the swept gain. Some of the various sub-circuits created by the wizard when generating a circuit- and system-based phased array are shown in Figure 4. These pre-configured sub-circuits are ready for further analysis and ongoing circuit/system design, replacing ideal components in the feed network with actual trace routing and RF front-end components. Figure 4 • Various sub-circuits in an NI AWR Design Environment project containing actual array and feed network sub-circuits automatically created by the phased-array generator wizard. A new streamlined design flow that has been developed for the NI AWR Design Environment platform helps engineers develop phased-array antenna systems, complete with antenna array, feed network, and RF front-end components based on behavioral models. This flow relies on a new antenna synthesis capability that enables users to create the individual antenna element and use EM analysis for generation of the individual antenna radiation pattern. The radiation pattern data is then used by the new phased-array generator wizard to configure the individual antenna radiation pattern and the array and feed network details. These details produce a far-field view of the array and can be used to generate a hierarchical design for further analysis and physical realization. David Vye serves as Director of Technical Marketing for AWR Group, NI.